It is already next week! The 11th Philippine Toy Convention is just around the corner. The toy convention will last from June 15 up to June 17, 2012. Venue will be at SM Megatrade Halls 1, 2 and 3 which is located at 5th level of SM Megamall building B. Entrance fee per day is 100php. I am pretty sure that there will be a lot of Gundam kits that can be found there since there are about 180 booths/stores participating this year. 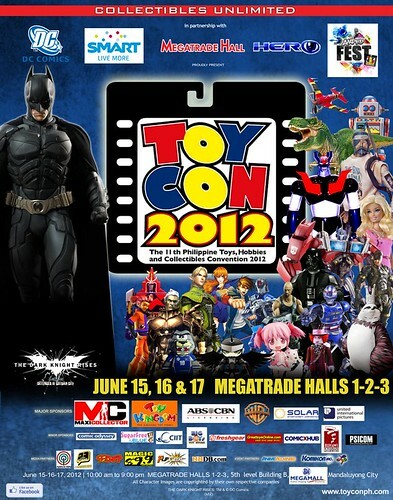 This might be the biggest ToyCon event in the Philippines so far.